Hey Sam, thank you for taking part in the FFA's Slaydies Series Spotlights! Can you tell my readers a little info about yourself? My name is Samantha Shaw - Sam preferably :) I’m 29 years old and I’m from Nottingham. When I’m not on the field I’m putting the world to rights in a supermarket. I was encouraged by my boyfriend to have a try and see if I liked it. I remember he played this video 'How to get your girlfriend into Airsoft' by Bob The Axe Man, it’s hilarious - https://youtu.be/KoRXvX3JucA and I’ve just never stopped airsofting since. 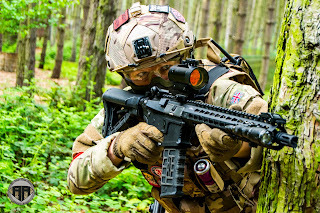 There are a few things I love about Airsoft - the vast choice of kit you can wear, the variety of guns, staying fit whilst having a laugh. 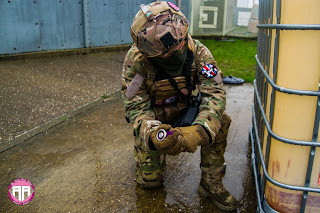 What stands out the most for me is the community within Airsoft. I’ve made so many amazing friends, people that have become a big part of my life and I think that’s amazing. There aren’t that many sites close to where I live, I have to drive probably 40 minutes but I would say The Gaol is my home site. It’s the first site I ever played and it’s a fantastic site that I visit regularly. When I’m visiting a site, I’m looking for a good mix of CQB and a small section of outdoor play. The site needs to have great Marshall’s and a good selection of games and at the same time, not be to overpriced. When all of these come together, that’s what makes a memorable to me, so my top sites would be The Gaol, Skirmish Wentworth & The Stan and also the Billet. laying down frags to help the rest of the team push in, pushing corners with my pistol for a good 50/50 shoot off and at the same time being a little sneaky and doing a couple of flanks here and there to get behind players and take them by surprise. I run a G&G CM16 SRXL as my primary and carry a Glock G17 pistol for those tight corners. 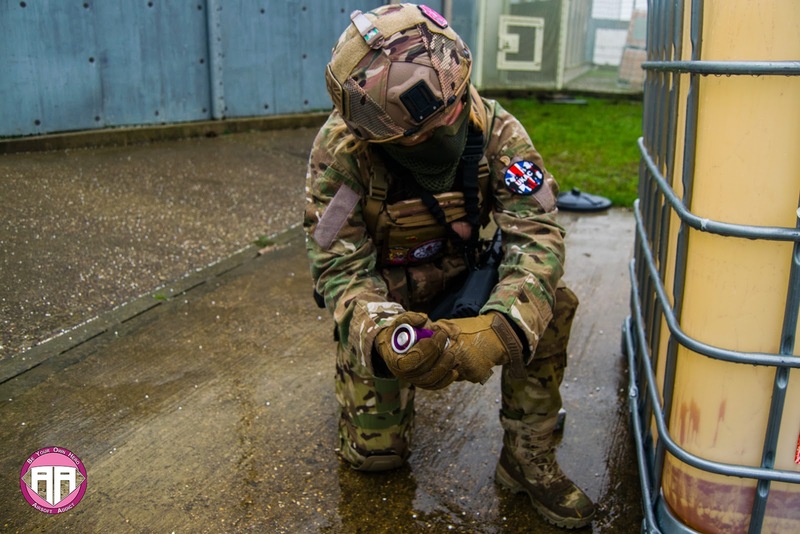 I also have 1 TRMR impact grenade which is a glorious purple (my favourite colour) my loadout is pretty much all multicam from top to bottom. 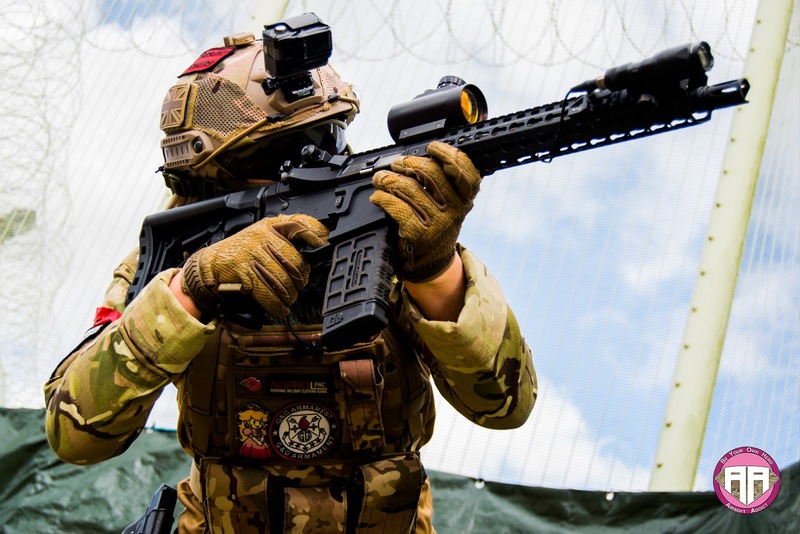 I’m currently saving for a Warrior Assault Systems plate carrier, the shooters cut edition as my kit is very basic and needs updating. 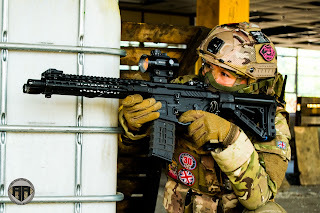 Being a women in Airsoft, what are your thoughts? “Wow you’re a really aggressive player, not bad for a girl” and such comments are things I hear regularly that some women could be offended by but I don’t see things that way. 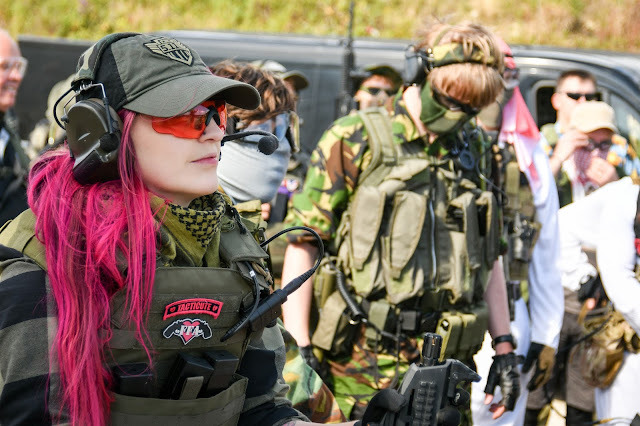 I think there are so many friendly welcoming and encouraging members of the Airsoft community, I don’t notice the few who still want Airsoft to be a male dominated sport. I do wish however that there were more options for female clothing in Airsoft. I’m sure I’m not alone in saying I’ve sewn my own UBACS and many other items to fit me comfortably. Is there anything you'd like to say to other players out there or women who are thinking of getting in to the sport?